Photos by Bjornulf Vik IORR. The crowd was hot hot hot in Montreal, as you could hear already during the fans intro video. 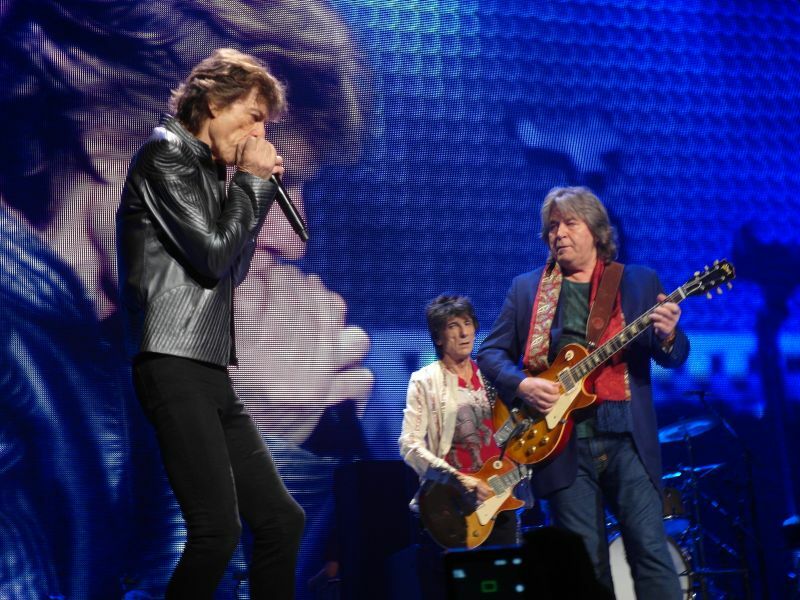 As the video finished, the roof of the Centre Bell just lifted and the Stones took the stage. Win Butler did not get his guitar to work when he hit the center stage with Mick, so he dumped the guitar on the stage. 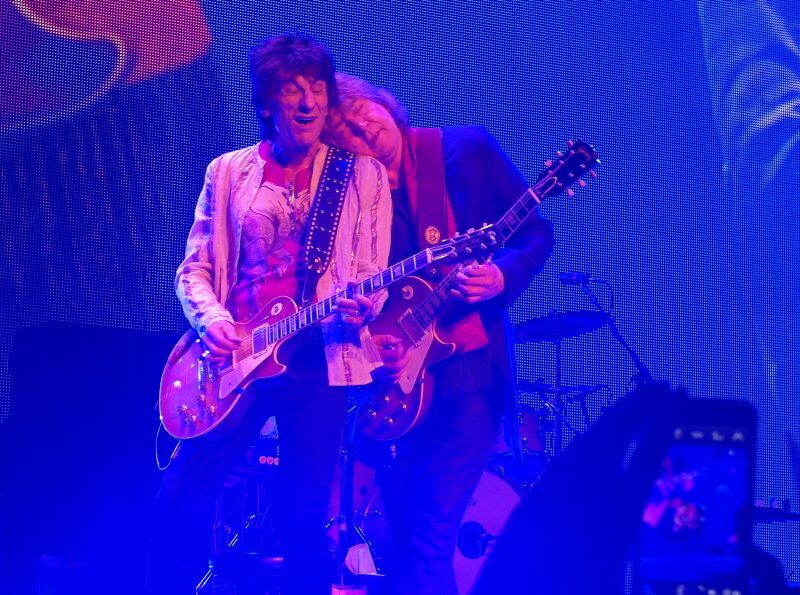 Then funny thing Mick picked up the guitar to "clean the stage", handed the guitar over to one of the crew, and then joined Win for the microphone. 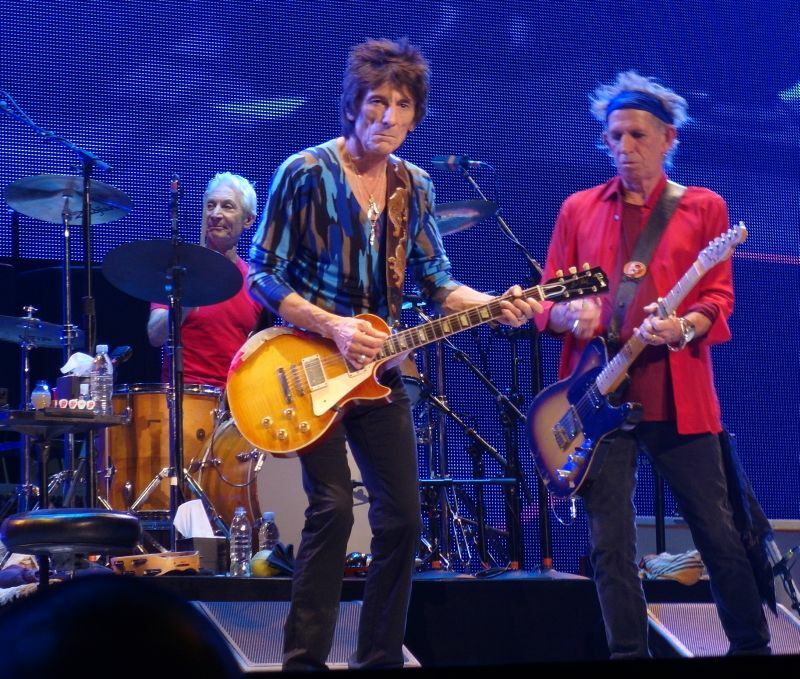 Before Win left the stage, he threw his wireless microphone into the crowd Keith side. Someone on that side now own a great souvenir from the show! 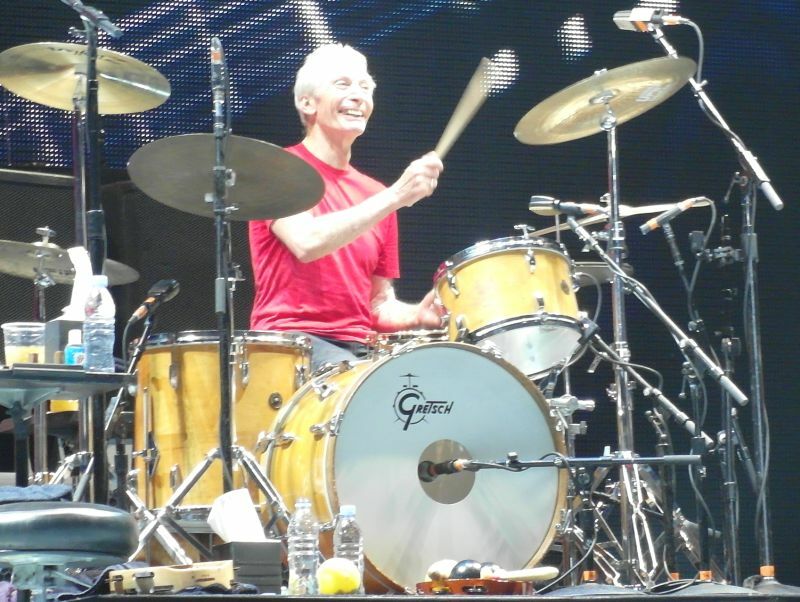 Charlie enjoyed the show a lot, he smiled constantly through the show, as he watched the other band members strolling around on stage or just pure excitement at this stage of the tour. If you have not seen them already on this tour then this is the time now. 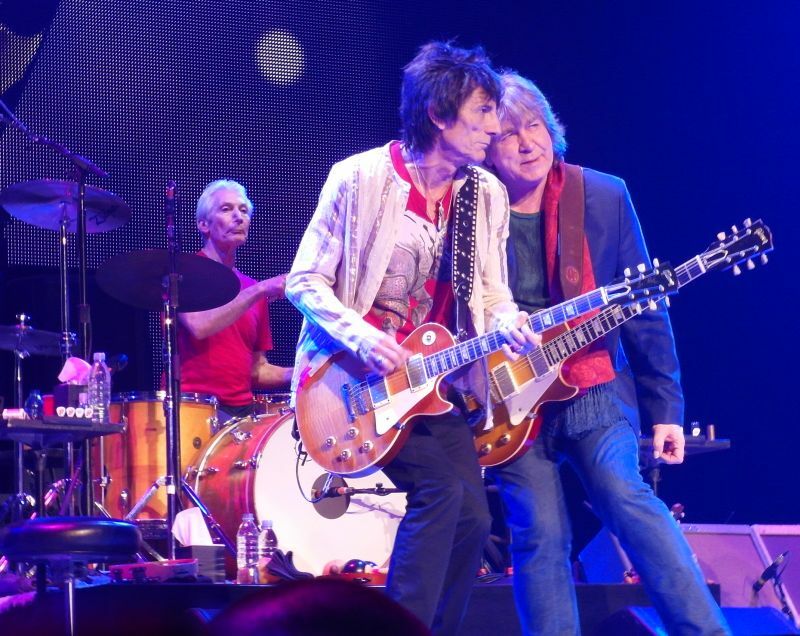 They are safe, comfortable with each others, Mick Taylor is part of the band seamless, Charlie and Darryl equally in sync, and they are sharp, focused still just as relaxed as they need to be in order to make the show great and exciting, with a few glitches here and there. 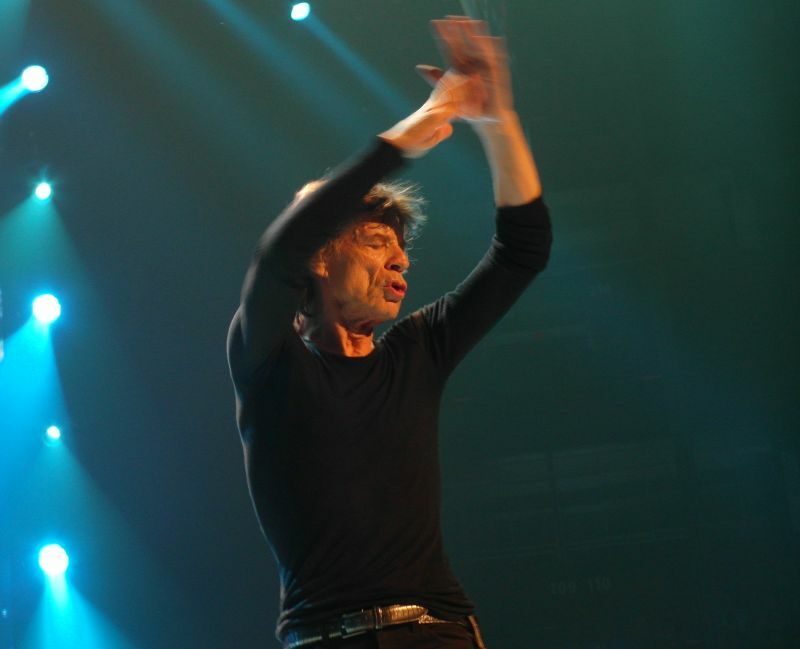 Mick talked a lot in French, as he said "Merci Bien" following "Get Off Of My Cloud", and he said it was the "First time the Rolling Stones have had the Grand Prix as a warm up act". 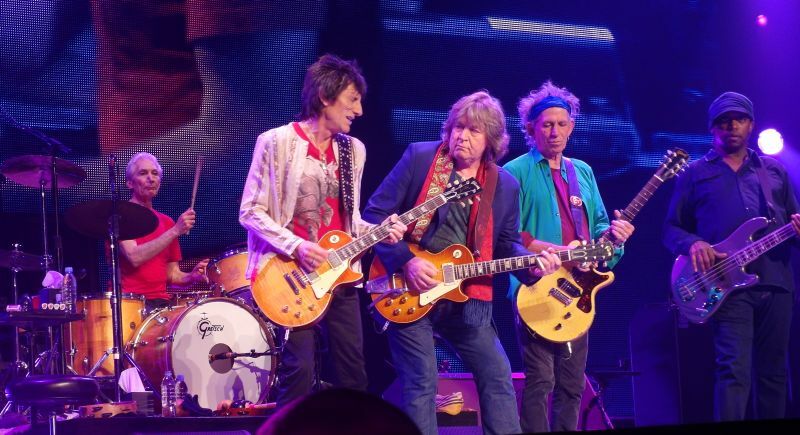 Having Mick Taylor on "Midnight Rambler" is worth the ticket in it's own, and when he is back for "Satisfaction" I just realize how safe the band is having him there with them. Just big smiles all over the stage, same with the crowd. Thank you Montreal, you made a great great show! 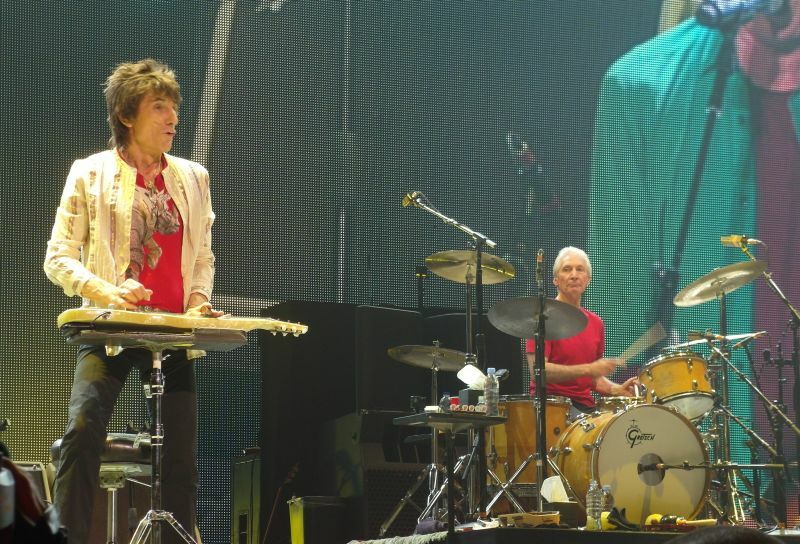 We were the lucky ones to get two tickets at 85$ apiece, a gift from the Rolling Stone to their fans; NOT. 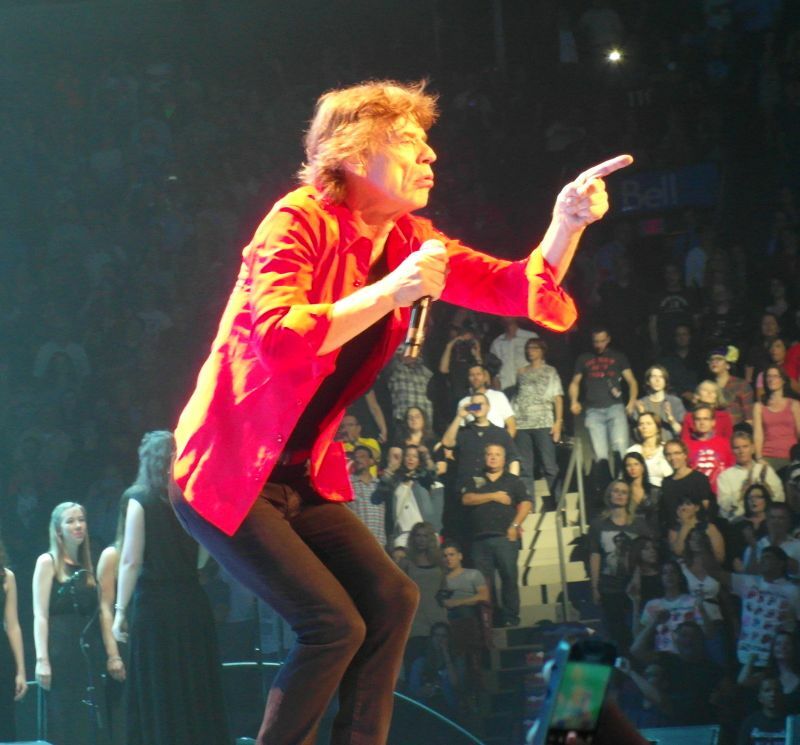 If you are generous with your fans, you don�t give them ticket with an obstructed view, you simply don�t do that, anywhere else but obstructed. Anyhow (and fortunately) we were able to escape these terrible backstage tickets and found 4 empty seats in the lower 3rd level viewing the stage at about a 60 degree angle! I found that musically they were better in the first Toronto gig than this one, and believe it or not, I found the crowd to be much more �in it� in Toronto than Montreal; go figure. Win Butler as a guest performer was totally ruined. The guy misses his cue to sing, he then drops his guitar right there on the stage, on the floor, and then at the end of his poor performance, he throws his microphone in the crowd. What was this guy on? My friend said it was his best concert ever, any band. 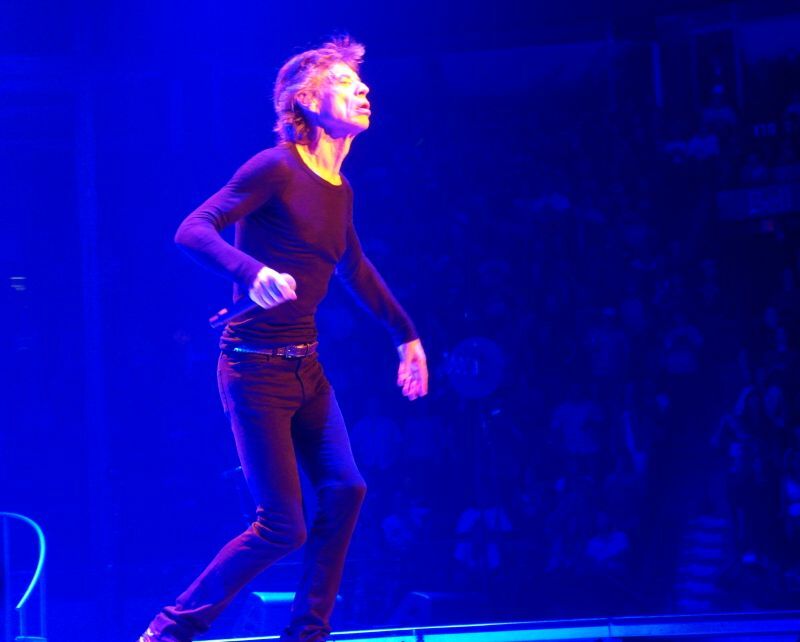 I really enjoyed "Wild Horses" and "Dead Flowers" (the popular vote song). They will never be back, this is really the last time, but on this last time we really had a great time in Montreal !